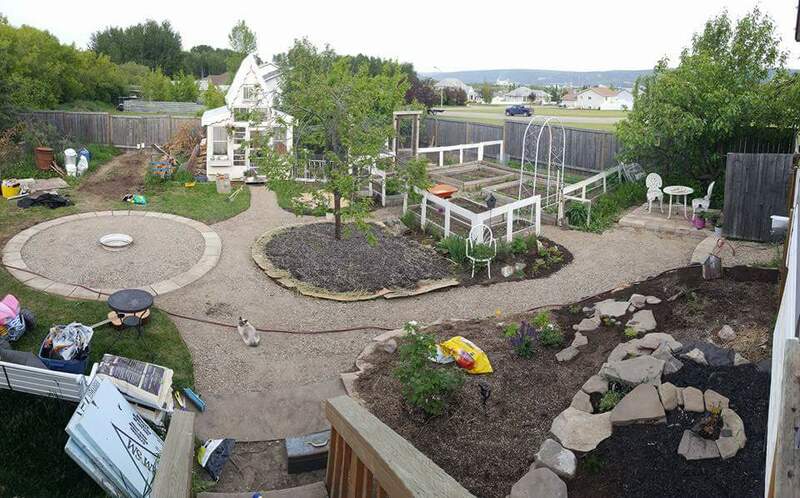 Another chapter in our neverending backyard projects saga wrapped up this year with the installation of a firepit area and garden paths. We have really crummy grass because I can’t be bothered to invest time and money into maintaining something that provides so little benefit; I need more time to tend to my tomato plants and echinacea flowers! So replacing some turf with gravel seemed like a great way to reduce the workload and improve the esthetic of the yard. There’s still (always) so much more to do but I will show you how we made our paths and pit and talk about what we hope to achieve by the end of next summer! 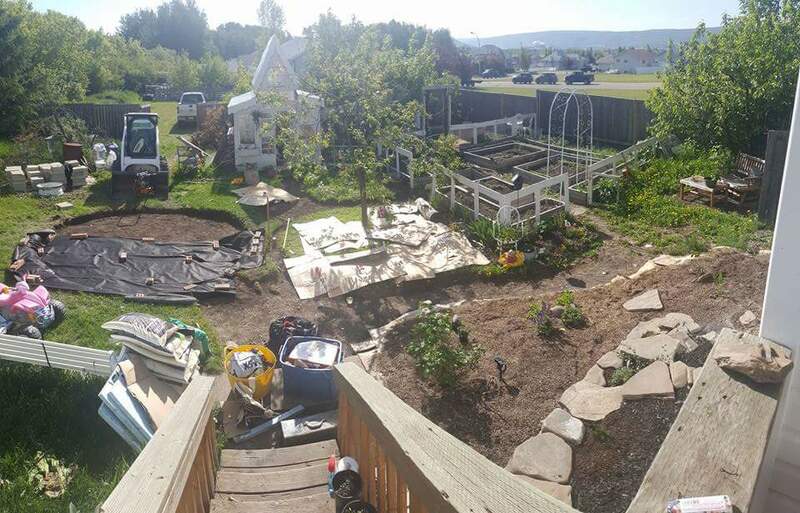 Its been a busy few summers with the construction of our upcycled greenhouse, garden plot, chicken coop, and pond. 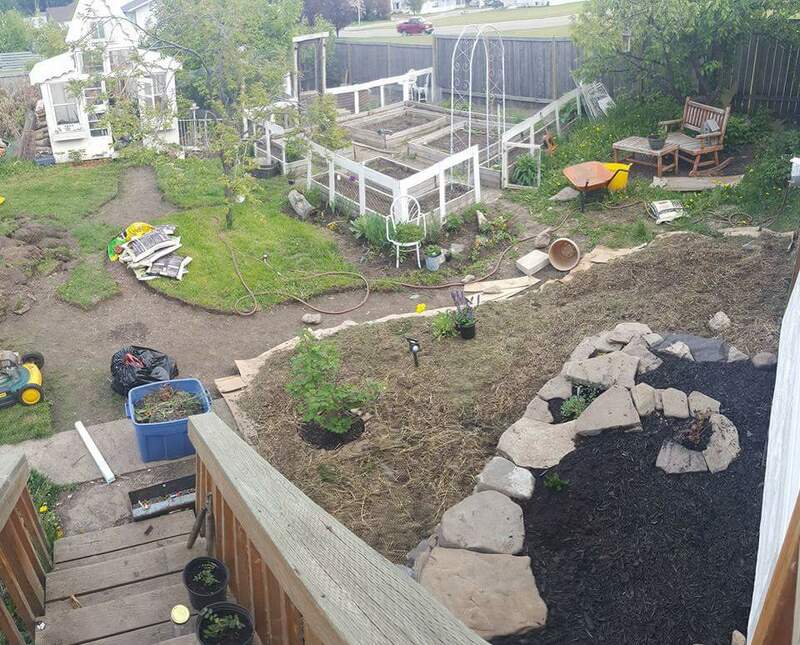 Our yard is slowly transforming into a beautiful and diverse space for growing food, observing nature, and playing and entertaining with friends and family. 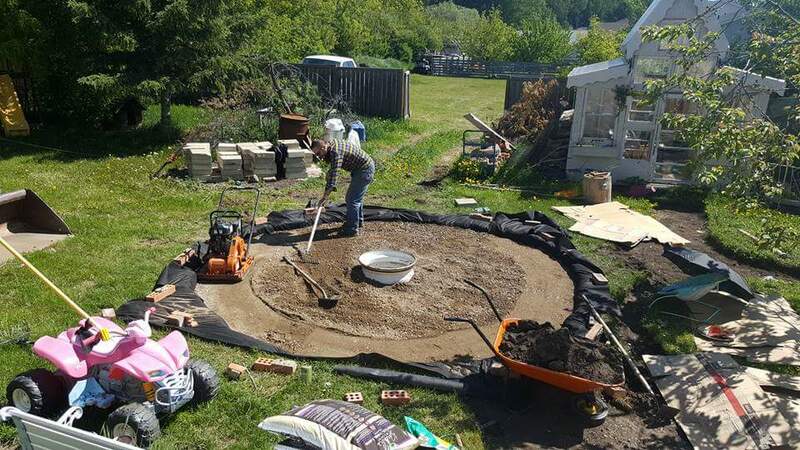 At the time that photo was taken, we had already settled on a plan of action and begun the work of removing the old culvert firepit and digging the new one. 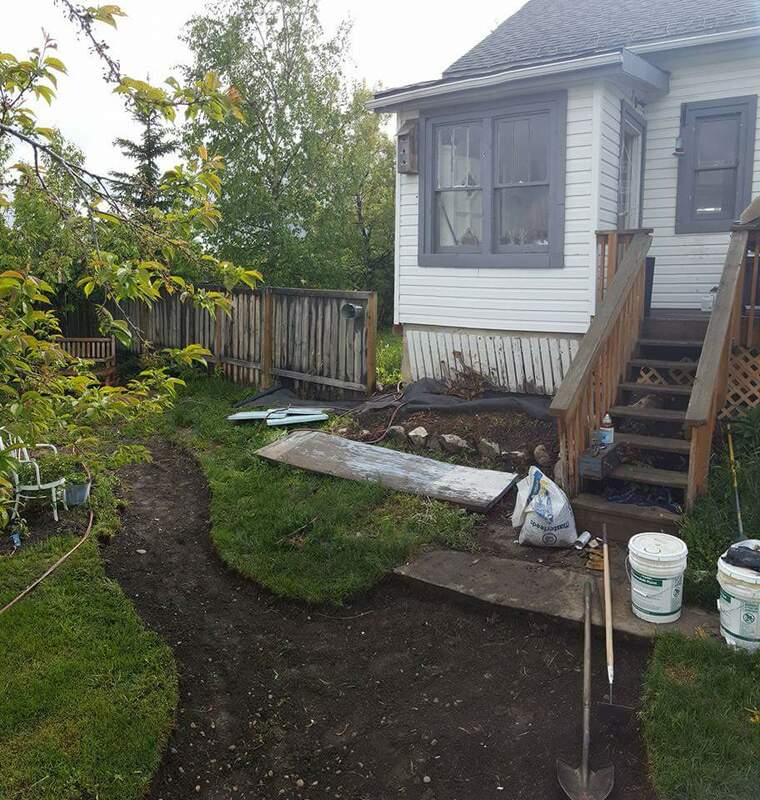 I used garden hoses to guesstimate where I wanted the paths to be and I started digging away the sod over the course of a few weekday afternoons while hubby was at work. 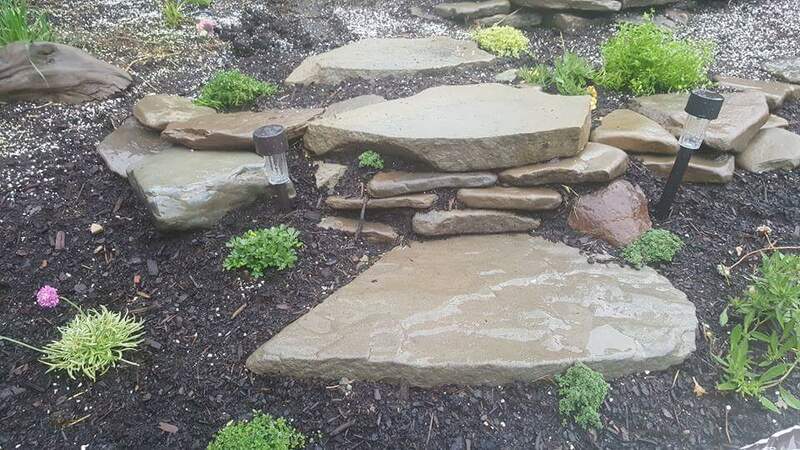 We found some cement stacking stones on a local classified for a really great deal an bought them before we even knew exactly what we would use them for but I’m glad we did because they turned out to be a great border for the firepit circle. 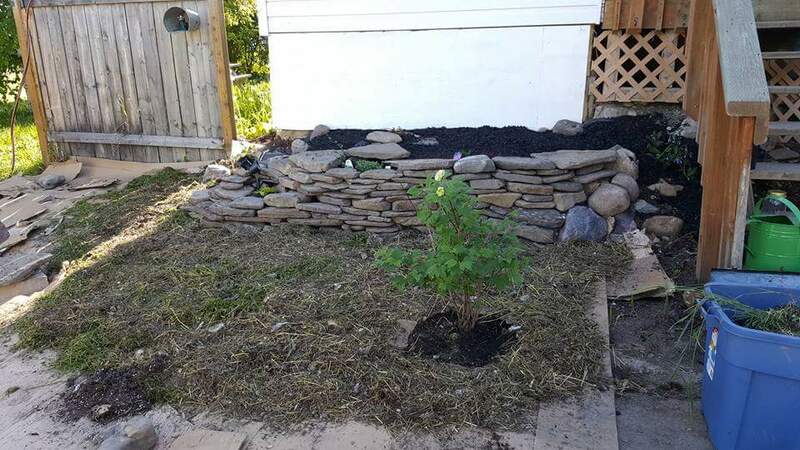 I began piling layers onto the areas that would become new lasagna beds (or ‘sheet-mulched’ beds). 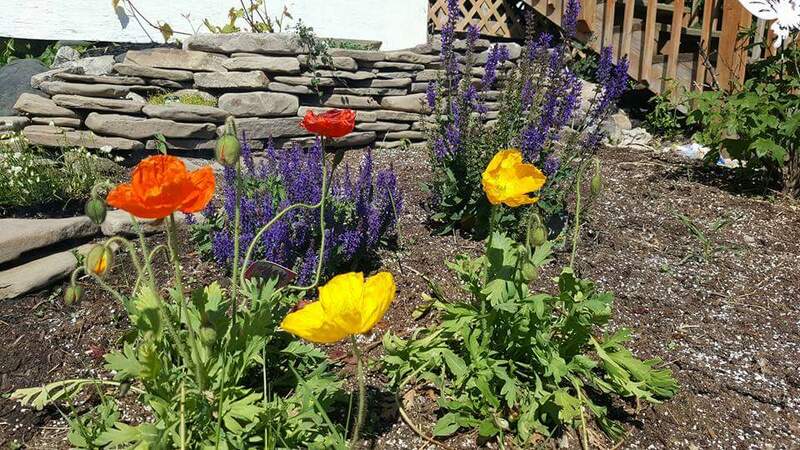 New Gardener Blues shares a great post about how to properly sheet-mulch a lasagna bed here. In the meantime, hubby was hard at work with the rest. 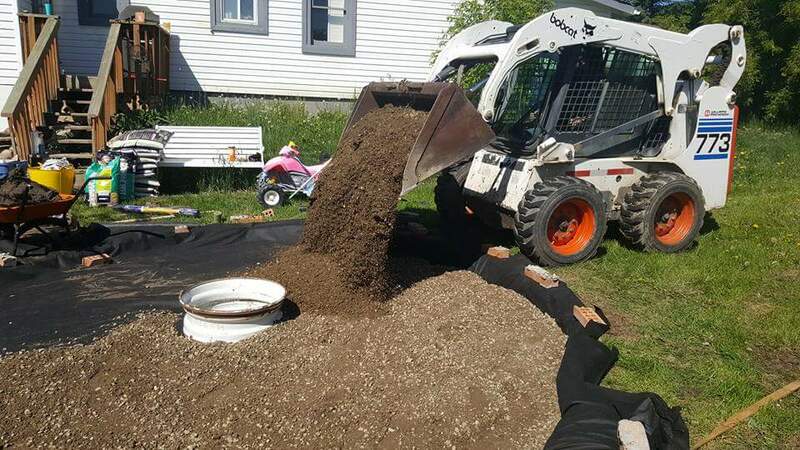 After laying down heavy-duty landscape fabric in all newly dug areas we ordered a load of 4 tonnes of 1/4″ crushed gravel, and rented a bobcat and a tamper. 1/4″ crushed gravel compacts very nicely and provides a fairly hard surface area for walking on. It’s low-maintenence and cheap. We used an old tractor rim for the new pit and buried it halfway into the gravel. 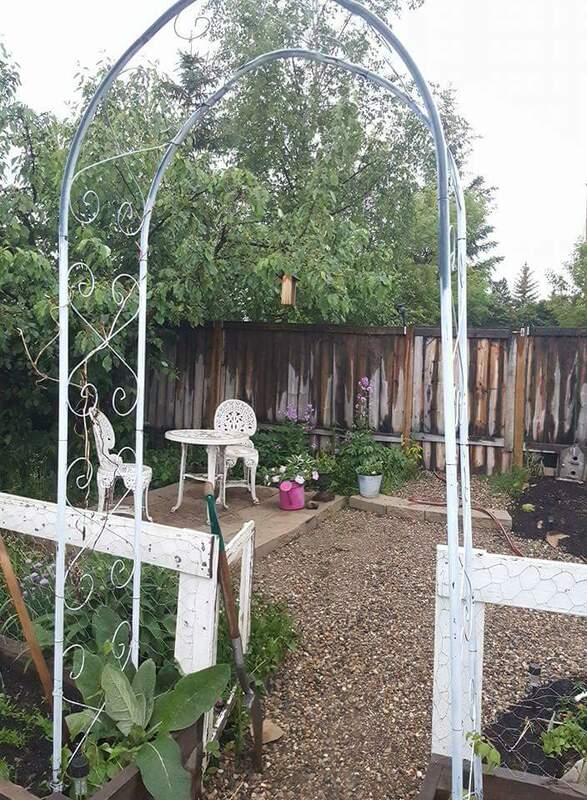 Things are slowly coming along and of course all I can do is dream about the beautiful and delicious and medicinal plants I’ll be able to grow next year. 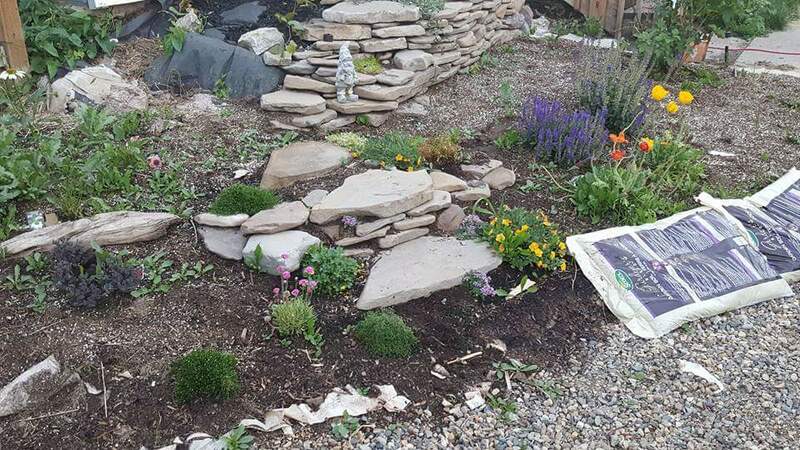 We have already planted some blueberry and ornamental bushes and cutting flowers and spring bulbs. 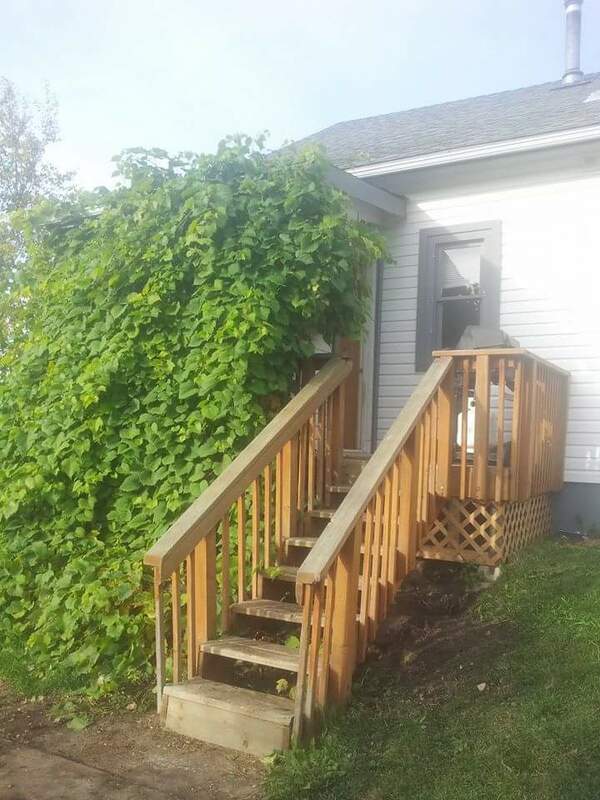 Next spring I’ll make space for some vining plants like pumkins and melons. We left the option open to invest in some quality flatstone for the paths if it’s ever within our future budget. Since packed crushed gravel makes a great sublevel to stone pathways we’ve already done the hard work! 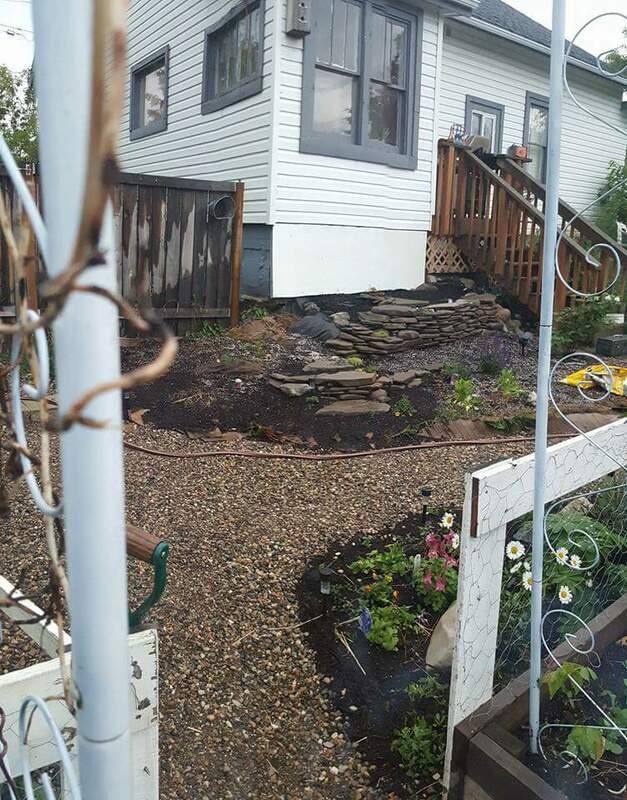 If not flatstones, maybe we will add a layer of pea gravel so I can resume barefoot gardening (my favorite!) -without puncturing my footsies on the crushed gravel. And here it is all grown in at the end of the season! We put the octagon picnic table over the firepit when we aren’t having a fire. This looks great! 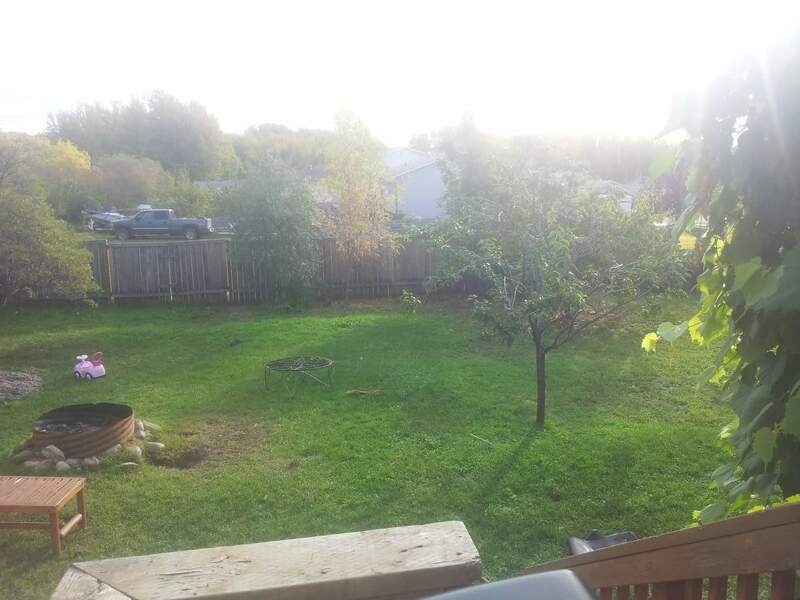 I’ve wanted to do some similar projects with our yard but haven’t known where to start. Seeing your step by step pictures has me motivated again! Oh boy, do I know how that is!